On Scene: NEW Surefire Maximus Headlamp, Check it out! 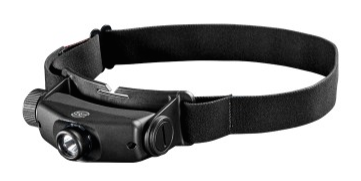 NEW Surefire Maximus Headlamp, Check it out! If you're on the hunt for The Beast of headlamps, the new Surefire Maximus Rechargeable Variable Output headlamp shines amazing light. With 500 lumens of light, it's enough to brighten up your entire campsite or scene. But don't worry, if 500 lumens is too much, you can dial it down to 1 lumen, or any level in between, for the closer work. Doing that helps to preserve your dark-adapted vision and also extends the runtime of the light. There's a large dial that permits the output control with one hand, and it's super easy to use when gloved or numbed by the cold. One hand can be used to aim the light right where you want it since the light assembly rotates up and down 90 degrees allowing you to point the light right where you need it. The SureFire Maximus uses a high-performance LED and then has a custom reflector inside that produces a wide, diffused beam to brighten up your natural field of vision. This light is powered by a powerful lithium-ion battery that can provide years of use and plenty of options are included, like AC and DC chargers depending on the situation you need. Users love the fuel gauge on the headlamp that gives a battery charge status, leaving nothing unknown when it comes to power. There's also a long-running SOS beacon that provides that little extra safety and comfort if needed. This headlamp is built from a lightweight magnesium that's tough through the harshest conditions. It's comfortable to wear thanks to the no-chafe fine-weave headband that's also moisture wicking and breathable. 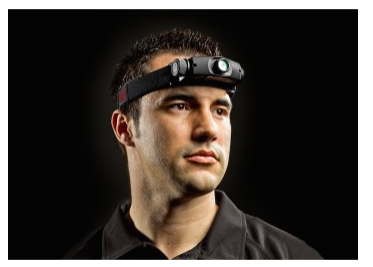 Get your incredible Maximus headlamp today.